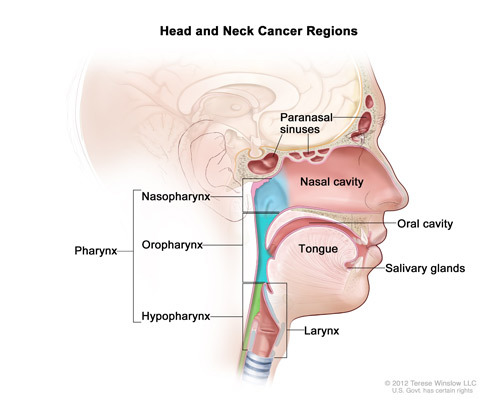 Infection with cancer-causing types of human papillomavirus (HPV), especially HPV type 16, is a risk factor for some types of head and neck cancers, particularly oropharyngeal cancers that involve the tonsils or the base of the tongue (9–11). In the United States, the incidence of oropharyngeal cancers caused by HPV infection is increasing, while the incidence of oropharyngeal cancers related to other causes is falling (9). More information is available in the HPV and Cancer fact sheet.